​​​Goldendale Observatory is home to several telescopes, most famously including a large 24.5" Reflector in the South Dome. Donation of this instrument by its makers to the town of Goldendale, Washington led to the construction of Goldendale Observatory in 1973. 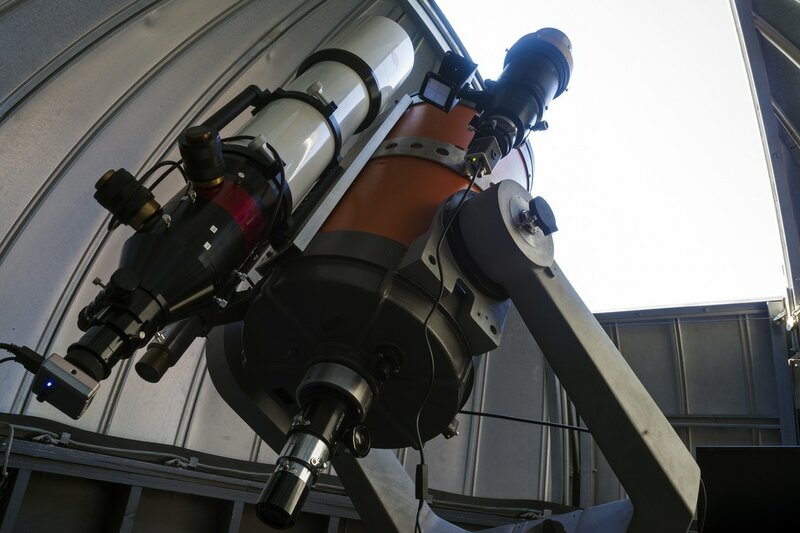 For most of its history, the telescope was a Classical Cassegrain, but was converted to Newtonian during its refurbishment in 2016. The original primary mirror is still present, but new optics will be installed in early 2018. Several portable telescopes are available for visitor use during presentations, including a 14" Orion GoTo Dobsonian. 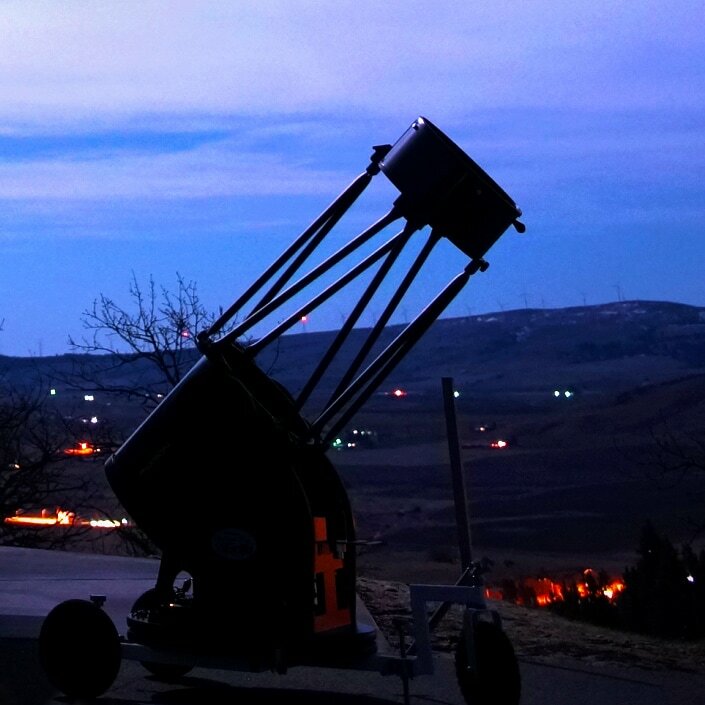 This instrument is used in conjunction with the main telescope on busy nights and is popular with individuals who do not wish to climb the main telescope ladder. 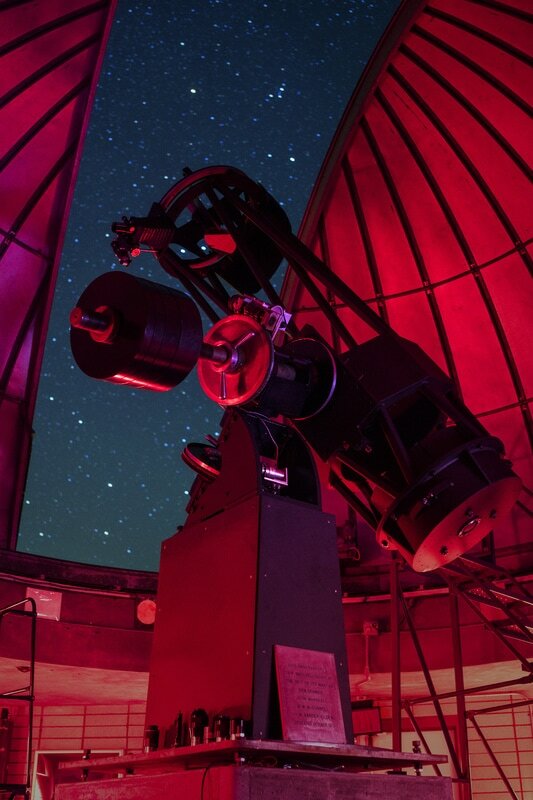 ​Goldendale Observatory also houses a Celestron 14" Schmidt-Cassegrain in the North Dome along with a new Lunt 152 Solar Telescope. 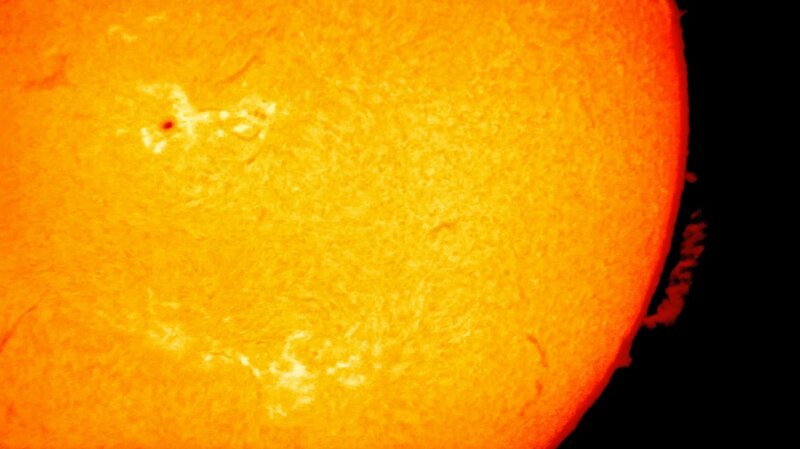 The Lunt is currently the largest mass-produced, double-stacked Hydrogen Alpha etalon system available and is used during all solar programs.